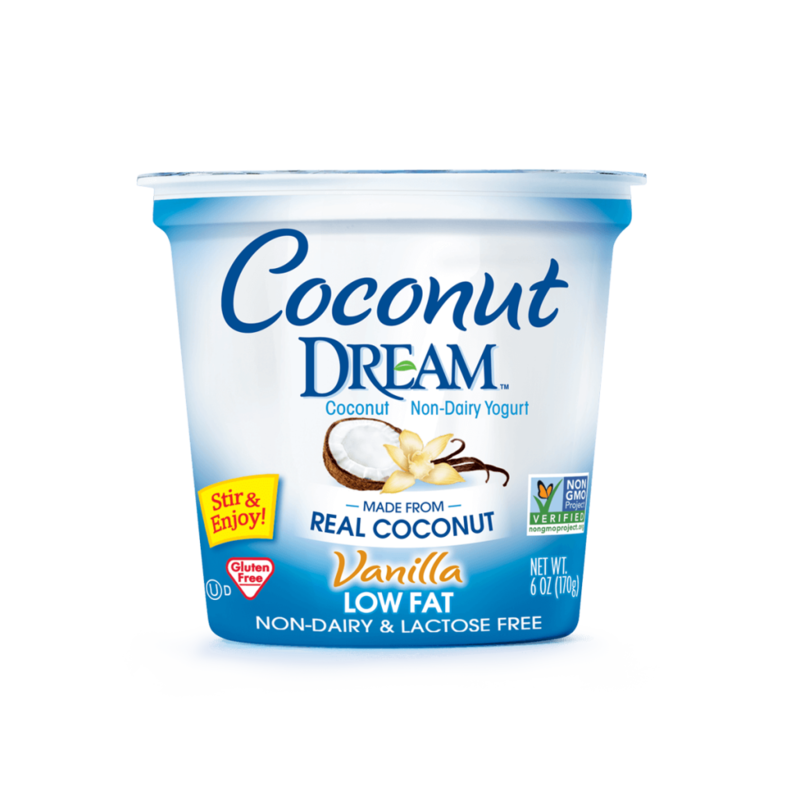 Creamy & delicious and flecked with delicious vanilla bean, Coconut DREAM™ Coconut Non-Dairy Yogurt is a delicious way to enjoy a calcium-rich snack! Also contains live & active cultures. COCONUT BASE (WATER, COCONUT CREAM), VANILLA BEAN BASE (WATER, EVAPORATED CANE SUGAR, NATURAL VANILLA FLAVOR, VANILLA BEANS, ANNATTO COLOR), EVAPORATED CANE SYRUP, STABILIZER BLEND (CORN STARCH, TAPIOCA MALTODEXTRIN, PECTIN, LOCUST BEAN GUM), TAPIOCA FIBER, TRICALCIUM PHOSPHATE, CULTURES*, ANTIMICROBIAL (FROM CULTURE).